Washington is a state in the north west part of the US, bordering Canada to the north, and the Pacific Ocean to the west. 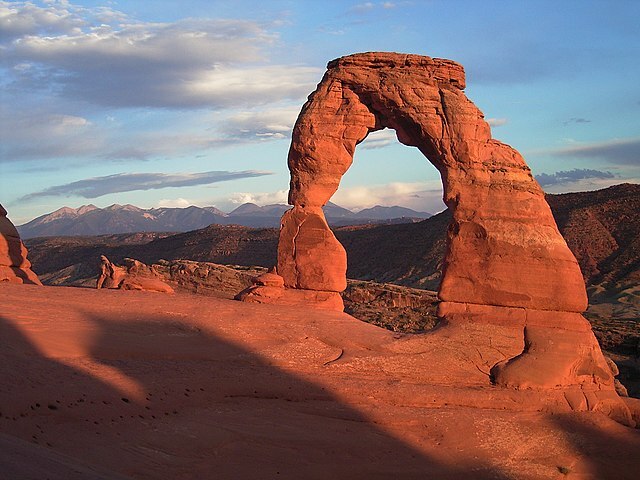 It was named after President George Washington, and is the only state named after a president. Its nickname is The Evergreen State because of the number of evergreen trees. Its motto is Al-ki or Alki, which means bye and bye in the Chinook language. 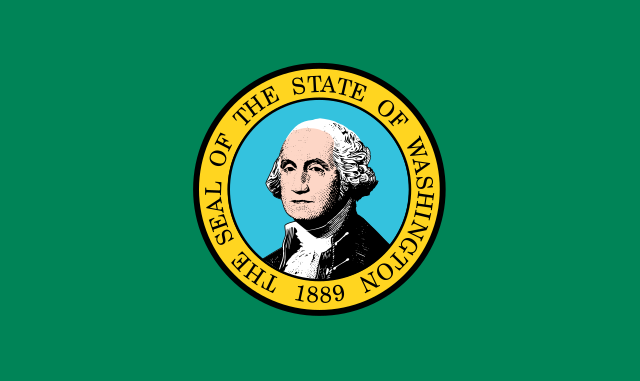 The seal of the state of Washington has a green background and a picture of George Washington. It is the only state with a green background on it's flag, and the only state flag with a picture of a president on it. In the city of Seattle there is a tower called the Space Needle that is 600 feet high, and has 25 lightning rods on it. When it was built in 1962, it was the tallest building west of the Mississippi. 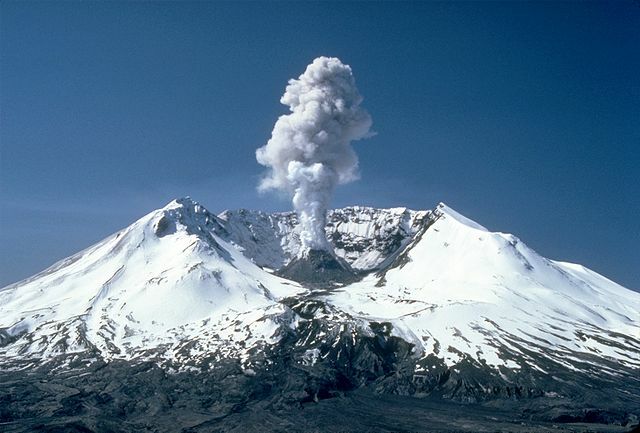 There are seven volcanoes in Washington, including Mount St. Helens which erupted in 1980. We just learned about Paul's First Letter to the Corinthians. Paul wrote two letters to the church in Corinth, so there is a Second Letter to the Corinthians. This second letter mostly gives instructions to the church about how to collect money for the poor. There is a common saying of: You reap what you sow. That is a farming saying that means if you plant a lot of seeds then you will get a lot of crops, but if you don't plant many seeds you won't get many crops. It's a way to tell people that if they helped poor people by giving to them, then they would be rewarded with many gifts by God. We just learned about the famous work of art When Will You Marry? by French artist Paul Gauguin in 1892. Another famous work of art is the The Tower of Blue Horses by German artist Franz Marc in 1913. This picture is very large, over 6 feet tall and over 4 feet wide. It is painted with very bright bold colors, and not the real colors of horses, but it is supposed to show how strong and beautiful they are. The different lines and circles and other shapes are used to make it look like parts of the picture are in motion, and the colors of the picture go from darker at the bottom to lighter at the top to show how light shines down on the horses and their strong colors. We counted to 69 in German, let's keep going! We just learned about heat lightning. Another type of weather is called freezing rain. We know that snow is when ice crystals form in clouds, hail is when drops of water freeze in clouds, sleet is when snow falls down and melts and re-freezes. Freezing rain is when water droplets fall down from the cloud when it is really cold out, but the water doesn't freeze until right when it hits the ground. This can be really dangerous because unlike snow you can't really see it, but the ground can be totally covered in a sheet of thin slippery ice. It can coat trees and plants in ice too which can cause them to fall over or lose branches. The ice made by freezing rain is called glaze. We just learned about the small saphenous vein. Some other veins that brings deoxygenated blood back toward the heart are the tibial veins. There are two types of tibial veins, anterior and posterior. The word anterior means in the front, and posterior means in the back. So the anterior tibial veins are in the front part of your leg by your tibia bone, and the posterior tibial veins are in the back part of your leg by your tibia bone. Virginia is a state on the east coast of the US, right on the Atlantic ocean. It's nicknames are Old Dominion, Mother of Presidents, Mother of States, The Commonwealth and it's motto is Sic semper tyrannis which means Thus Always to Tyrants. 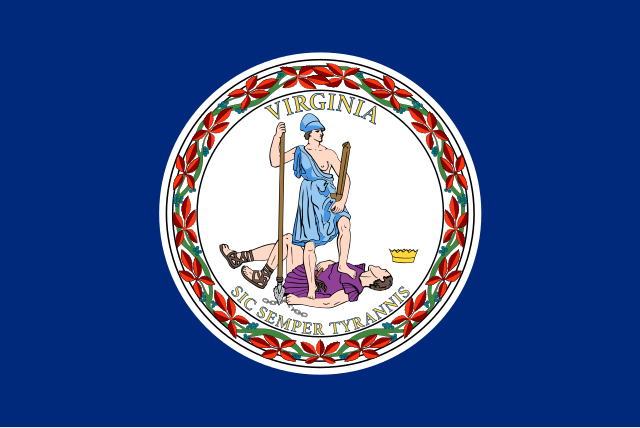 The flag of Virginia is blue, with the state seal on the front. The state seal has one person standing on another person, and the words sic semper tyrannus, which means thus always to tyrants. A famous Native American Pocahontas saved an early English settler named John Smith. In the city of Chincoteague, every year they have a pony penning where they herd a bunch of ponies across the water. George Washington, the 1st president of the US in 1789, was from Virginia. Thomas Jefferson, the 3rd President of the US in 1801, was from Virginia. 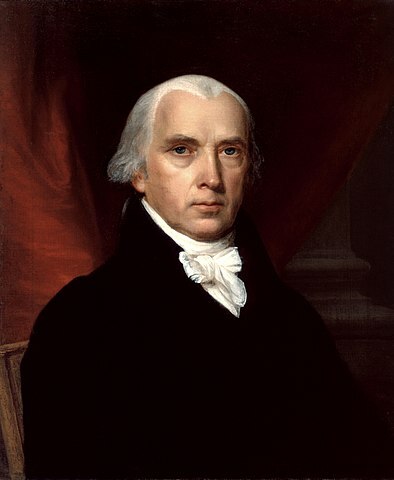 James Madison, the 4th president of the US in 1809, was from Virginia. James Monroe, the 5th president of the US in 1817, was from Virginia. William Henry Harrison, the 9th president of the US in 1841, was from Virginia. John Tyler, the 10th president of the US in 1841, was from Virginia. Chester A. Arthur, the 21st president of the US in 1881, was from Virginia. Woodrow Wilson, the 28th president of the US in 1913, was from Virginia. Calvin Coolidge, the 30th president of the US in 1923, was from Virginia. We just learned about Paul's letter to the Romans. Another letter Paul wrote was to the church in Corinth, so the letter is called First Corinthinas because it was the first of two letters. Most of First Corinthians is Paul telling the people in the church there that they are not doing the right things by God, and he gives them advice on how to fix their actions. This letter has one of the most famous verses in the Bible, sometimes called the love verse, because it talks on and on about how wonderful love is. We just learned about the work of art La Blanchisseuse by Toulouse-Lautrec. Another famous work of art is the painting When Will You Marry? by French artist Paul Gauguin in 1892. This painting was of two women from the land of Tahiti, where Gauguin traveled to try and see what people lived like in other places. The woman in front is dressed in bright colors and has a flower in her hair, and is looking for someone to marry. Just like Henri de Toulouse-Lautrec and Vincent Van Gogh, he painted in a style called Post Impressionism, using bright colors and lots of thick paint. Gauguin and Van Gogh were actually friends and worked together for a while. They had a fight and Gauguin left, and right after that was when Van Gogh went crazy and cut his own ear off! We counted to 59 in German, let's keep going! We just learned about thunder snow. There is also something interesting called heat lightning. Sometimes when you are out in the evening on a hot sunny day, you can see lightning flashes from very far away but you don't hear any thunder. There actually is some thuder for the lightning, but since the skies are clear you can see very far and the sound of the thunder doesn't reach that far. We just learned about the type of dog the cocker spaniel. Another type of dog is the Rough Collie. There are about 20 different types of collies, but usually when people just say collie they are talking about the rough collie. It is sometimes called the Long Haired Collie too. Collies have been used for a long time as herding dogs, mostly for sheep. There were old books, movies and TV shows about a loyal family dog named Lassie. The dog from the movie whose real name was Pal was so famous that they had a star with their name on it put on a famous sidewalk called the Hollywood walk of fame. We just learned about the great saphenous vein that brings deoxygenated blood from the foot up the leg toward the heart. Another big vein in the foot and leg is the small saphenous vein. Even though it's name says small, the vein is very big. It goes from the outside of your foot, then up behind your ankle and up the back of your leg. Vermont is a state in the northeast part of the US, bordering Canada to the North. 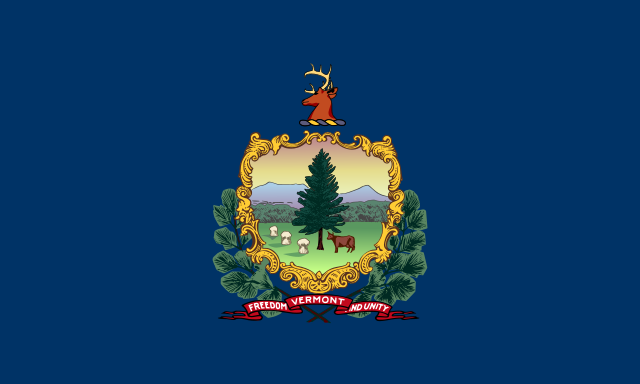 The flag of Vermont has a blue background and 14 branched pine tree with two grain sheaves above it. The 14 branches are for the 13 colonies and Vermont as the 14th state in the union. There is a cow for the dairy farming, clouds and wavy lines. Vermont is the leading maker of maple syrup in the US. In the town of Thetford Vermont, there is a 25 foot statue made of old wood and hot air ballons called the Vermontasaurus. Lake Champlain is a very popular place for people to go on vacation. Calvin Coolidge, the 30th President of the US in 1923, was from Vermont. Chester A. Arthur, the 21st President of the US in 1881, was from Vermont. The Apostle Paul wrote a letter to the people of Rome, and that book in the bible is called Romans. He was writing to a bunch of different types of people who came from different places, and in Rome people were arguing a lot about what was the right way to believe and what were the right or wrong things to do. He told everyone that everyone does things wrong and no one is perfect. And that because people sin, the punishment for sin is death, but believing in Jesus gives eternal life. We just learned about the famous work of art Le Pont de Moret, effet d’orage by French artist Alfred Sisley. Another famous work of art is La Blanchisseuse by French artist Henri de Toulouse Lautrec in 1886. Toulouse-Latrec was part of what was called the Post-Impressionism group of artists, where they liked to use bright colors and lots of thick paint. They liked to make paintings of real things like people and places, but sometimes try to make shapes stand out more or use crazy colors to make an effect. We just learned about the type of dog the Boxer. Another type of dog is the Cocker Spaniel. They got their name because they were good at hunting a type of bird called the woodcock. In the movie Lady and the Tramp, the dog Lady is a cocker spaniel. We just learned about the Dorsal Venous Arch that helps bring deoxygenated blood from the foot toward the heart. That vein connects to another very big vein called the Great Saphenous Vein. This vein goes all the way from your foot up your leg to your hip. It is the longest vein in the human body. 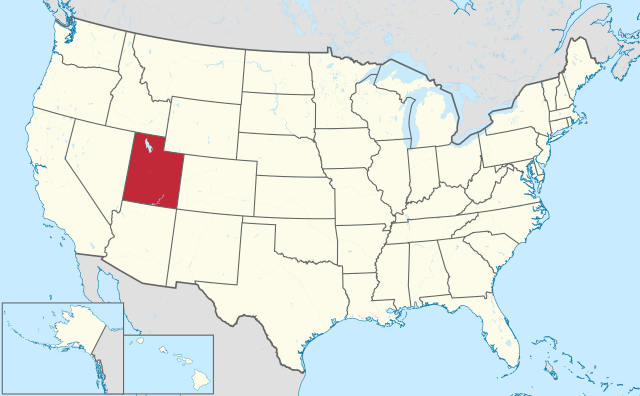 Utah is a state in the west part of the US. It's nickname is the Beehive State and it's motto is Industry. 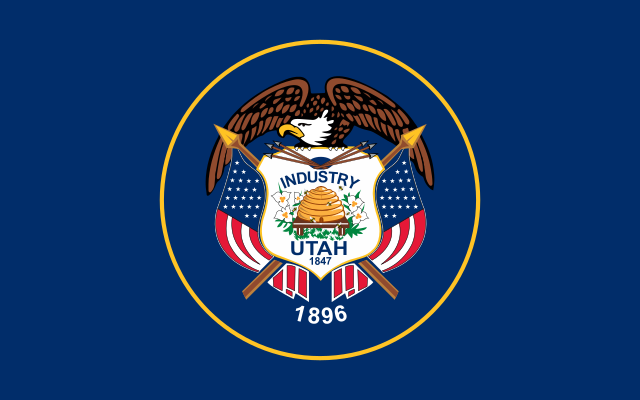 The flag of Utah is dark blue, with the state seal in the middle. The state seal shows the American eagle, a shield for defense, a beehive, a Sego Lily which is the state flower, and the US flag. 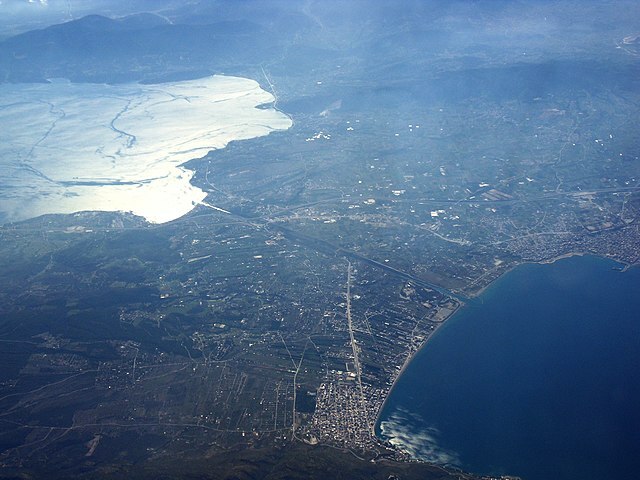 The Great Salt Lake in Utah is the largest salt lake in the west side of the earth. Long ago it used to take about six months to get from one side of the US to the other, and people worked to make a railroad to go all the way across the US. Once it was completed it took about one week instead of six months to make the trip! This was called the Transcontinental Railroad, and when the railroad was finished, the last railroad spike was put in at Promontory Summit, Utah. That railroad spike was called the Golden Spike, and it is now in a museum. When they put in the spike, they used a telegram which was a way to send messages before there were phones, and they told the whole country it was done and everyone celebrated. Zion National park is a mountain area that has many beautiful rock formations, like an area that is called the Subway.